Despite your efforts to keep tenants in the loop and to ensure that contractors honor their guarantees during Whitby, ON window installation projects, you might find some that some tenants in the residential complex you manage are difficult to handle for one reason or another. It is true that some tenants may have legitimate concerns that you need to get to the bottom of and to resolve as soon as possible. But there are other cases where the squeaky wheel will continue to squeak no matter how much oil you give it. Here are some tools to help you if you encounter difficult tenants who are always finding fault with whatever renovation or maintenance projects are in progress. It can be tempting to respond in kind if tenants are less than courteous and professional themselves, but that would potentially make a bad situation worse. As property manager, you need to be objective and try not to take what the difficult tenants say personally. Even if tenants are getting unruly, they are more likely to calm down if they see that you’re calm. You’ll also want to document what is discussed so that you can refer to it should the situation deteriorate. Assuming that the complaints have no merit, stick to your guns and proceed with the project. In most cases, cooler heads will prevail if disgruntled tenants see that you’re doing or have done everything in your power to resolve their complaints or to at least explain the situation. You need to hammer home the point that you, as property manager, are duty bound to proceed with the project. Again, most complaints can be resolved rather easily with a little diplomacy, especially if disgruntled tenants understand how they will benefit from the maintenance or renovations. Are you ready for Whitby, ON windows for your residential complex? 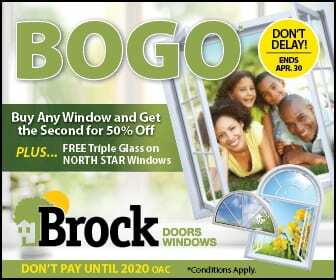 Give us a call at Brock Doors and Windows Ltd. to learn about our product selection and installation services. You can get in touch by calling (905) 720-3610 or you can stop by our showroom at 1751 Wentworth St Unit 4-6 Whitby, ON L1N 8M2.